We have a couple of interesting morsels of LG smartphone news thanks to Twitter users @evleaks. First of all the upcoming LG smartphone flagship refresh has been detailed in pictures and specifications. It’s due to be officially unveiled on the 27th May and basically all we don’t know now is the price that LG will be asking. Secondly the LG G Flex 2 has been tipped for an early 2015 launch. This is the successor to the first slab smartphone designed with a curve to fit your face. 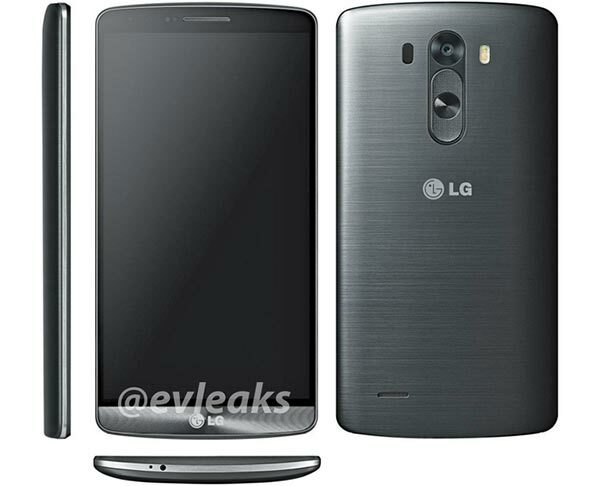 We have now seen multiple leaked images of the LG G3 smartphone which is due to be launched in just over one week’s time. An event to show off the new handset will be held in the hubs of London, New York, San Francisco and Seoul. The earlier leaks showed off the sombre dark grey livery but the latest leaked photos show the device in white and gold. When launched this will be LG’s top smartphone and has some high specs as you might expect. Key among those specifications are the 5.5-inch screen with an amazing 2560×1440 pixel resolution, a 13MP main camera and a 3,000mAh battery. The processor at the heart of the new smartphone is still subject to conflicting rumours – without doubt it will be fast but let’s wait just over a week so we don’t guess wrong. The OS is expected to be the latest version of Android – KitKat 4.4.2. It will have a custom interface skin and LG’s Knock Code and a special ‘concierge’ assistant according to PC Pro magazine. Also courtesy of @evleaks we have confirmation of sorts that LG will refresh its innovatively constructed ‘Flex’ design smartphone. As well as the manufacturing feats of curved screen, battery, and flexibility the original LG G Flex boasted a self-healing rear surface. Mr EV Leaks says that something “even more unique” will be coming to the LG G Flex 2. A Q1 2015 release probably means it will debut at the MWC in Barcelona in Feb. When I first saw the G Flex I thought it would be the flagship, but it looks like LG are running its development in parallel to the G series for some reason. 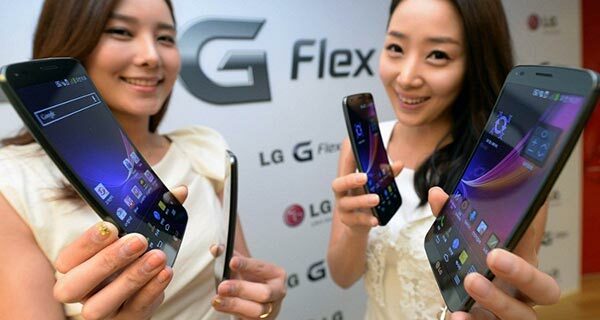 What would you like to see from the next G Flex smartphone?